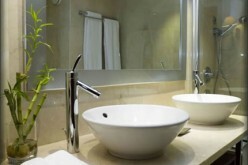 There are many reasons people decide it is time for a bathroom renovation project. Maybe the bathroom is not functional anymore and the renovation is done out of necessity. Or perhaps the homeowner is looking to spruce up parts of the house in order to up their asking price. It might be that the bathroom is old, ugly, or full of broken fixtures. Whatever the reason, there are certain factors that come in to play when determining what kind of renovation you will do. Cost and priorities go hand in hand when decisions are made about a big renovation project. One question which needs to be answered before starting a bathroom project is whether or not sinks, bathtubs, showers or toilets are going to be added or moved. If the answer is yes, then this should take top priority as far as budgeting goes. 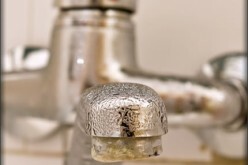 Some plumbing issues are minor, while others are costly and complicated. 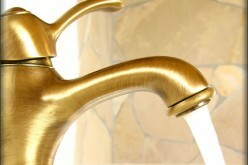 It is important to decide if changes are really necessary because even small changes may require big plumbing additions. It is important to always use a licensed plumber to avoid issues with your bathroom later on. 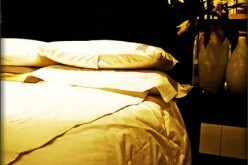 Peace of mind in this area of your renovation is priceless, as enormous damage can be done if the work is shoddy. Similarly, changes in placement or addition of outlets or light fixtures will be costly and at the top of the priority list for budgeting purposes. Small changes in light switch placement or the addition of outlets near or under a vanity can make a big difference in the functionality of a bathroom. A licensed electrician is an absolute necessity for safety reasons. Get quotes from several companies and be sure to ask family and friends for referrals. 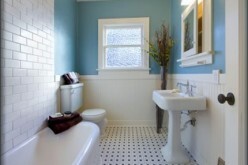 Determining the square footage of your bathroom is something which needs to be done in order to budget for flooring. Be sure to take careful, multiple measurements so your quote is as accurate as possible when budgeting for floor installation. It is also a good idea to look at lots of different material options for flooring, depending on what your budget allows. There are many options available for showers and tubs. Some people prefer a claw foot soaking tub with a separate, fully-tiled waterfall shower, while others don’t mind an all-in-one prefabricated unit. The more high-end the fixtures, the more expensive this part of the renovation can be. According to an expert from Plugged Piper Drain Service, this is typically the most flexible area as far as budget priorities go, with several options for inexpensive bathroom fixtures and accessories available to consumers. Whatever your budget, it is important to examine your priorities and decide what will work for you. Budgets should have a little wiggle room, but by making accurate measurements and knowing your style and functionality requirements, you should end up close to your projected budget.